Is CBD legal? Well, it depends which country you're talking about. The cannabinoid itself is non-psychoactive, so many countries do not prohibit it. However, some restrictions still apply. Explore where in the world CBD is legal. Demand for CBD has exponentially increased in recent years due to swaths of published studies, anecdotal accounts, and media coverage reporting on the benefits of the compound. But regardless of its effectiveness, the cannabinoid still inhabits a grey area when it comes to legality. CBD itself is non-psychoactive, natural, and relatively safe. However, its association with the cannabis plant has created quite a lot of confusion and debate. The situation is fairly complex, with many different variables involved. CBD is actually legal in many regions where cannabis itself is not, meaning that even CBD-rich strains containing small amounts of THC are still illegal. CBD can also be extracted from industrial hemp, a cash crop that is largely legal to grow and sell. The difference between cannabis and hemp comes down largely to THC percentage, as they are both variants of the same species. Cannabis has simply been selectively bred over time to produce higher and higher amounts of the psychoactive cannabinoid THC. Industrial hemp typically features less than 0.3% THC and is therefore almost impossible to get high off. Yet, hemp usually features fairly high levels of CBD. Additionally, extracting CBD from cannabis plants and isolating the compound into a supplement is technically legal in many places. If the product was made in a region where cannabis is legal, then shipped to a place where cannabis is illegal but CBD is not, the product will still be deemed as legal given the lack of THC. Let’s get clear on the legal situation of CBD in certain countries, so that you’ll know for sure where’s it safe to buy around the world. Before we delve into individual countries, let’s take a glance at what the United Nations has to say about CBD. For those who don’t know, the United Nations is an international organisation that was founded in 1945 and includes 193 member states. One of the reasons for the formation of this group of nations was to achieve international co-operation in solving international problems. During 1971, the United Nations designed a treaty to control psychoactive drugs, such as psychedelics and cannabis, known as the Convention on Psychotropic Substances. Fortunately, there is no mention in the treaty of CBD being a controlled substance. Of all countries, the CBD situation within the United States is by far the most confusing. 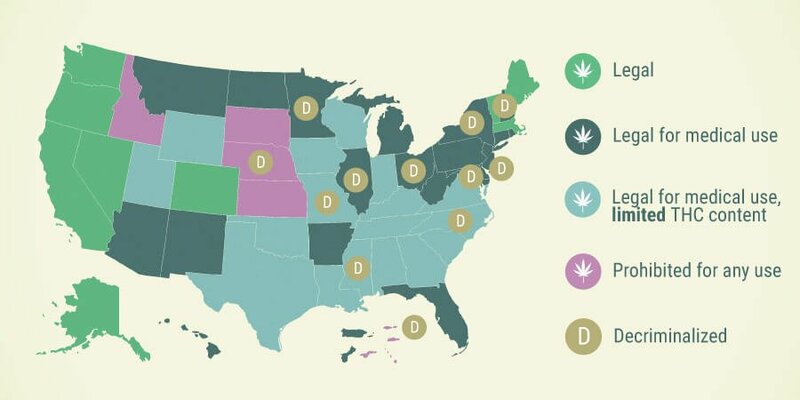 All 50 states that make up the country have varying cannabis laws, and the federal government that governs those states has its own cannabis legislation. As far as federal law goes, cannabis is a Schedule 1 drug under The Controlled Substances Act. This was signed into law by President Richard Nixon on October 27th, 1970. The act makes it illegal to manufacture, import, posses, use, and distribute certain narcotics such as stimulants, depressants, hallucinogens, and cannabis. For cannabis to be a Schedule 1 drug means the federal government deems it as having a high potential for abuse and no currently accepted medical use in treatment. This law also applies to cannabis extracts which are defined by the Drug Enforcement Agency (DEA) as “an extract containing one or more cannabinoids that has been derived from any plant of the genus Cannabis, other than the separated resin (whether crude or purified) obtained from the plant”. The true motivations behind such a classification are open for speculation. But one thing's for sure, such a decision is a profound display of scientific ignorance. CBD has been shown in many scientific studies to have vast medicinal potential, and little to no potential for abuse. This is where things get confusing. Although cannabis is illegal federally, industrial hemp is not. Therefore, CBD derived from industrial hemp is legal to produce and supply, despite it being the exact same compound isolated from the cannabis plant. Because states can make their own laws, many of them now allow for recreational marijuana programs. At present, cannabis and therefore CBD are recreationally and medically legal in the 9 states of Alaska, California, Colorado, Maine, Massachusetts, Nevada, Oregon, Vermont, and Washington, as well as the District of Columbia (Washington DC). Some states have made medical cannabis (in some cases just CBD) legal, but not recreational cannabis. These states include Oklahoma, New Mexico, New Jersey, New Hampshire, Georgia, Delaware, Florida, and Connecticut. Medical cannabis, and therefore CBD, is legal in multiple countries within Europe. Medical cannabis can be obtained in countries such as Austria, Belgium, Denmark, Netherlands, Romania, Spain, and Italy. Industrial hemp is also legal to cultivate in much of Europe. Only certain genetics are allowed to be grown, all of which contain under ~0.2% THC. Various companies on the continent use industrial hemp as a source to manufacture CBD extracts and isolates. 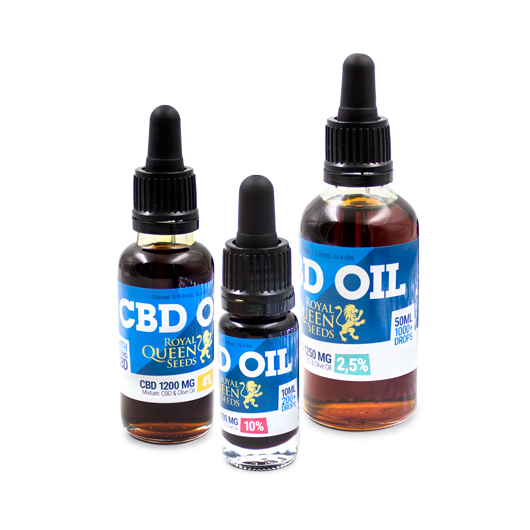 CBD is legal within the United Kingdom and is not considered a controlled substance. No restrictions exist around the cannabinoid, and it can be freely distributed. However, CBD derived from cannabis plants isn’t possible to obtain legally, as the herb is illegal under the Misuse of Drugs Act 1971. Hemp cultivation is legal within the UK, in alignment with EU regulations. Therefore, any CBD oil with THC values of over 0.2% is considered medical marijuana, and is illegal. Switzerland, however, features some unique cannabis laws. THC is illegal within the country, but CBD is not controlled under the Swiss Narcotic Act. Cannabis products containing less than 1% THC can be produced and sold. The country now allows growers to produce high-CBD strains, so long as they don’t exceed the mentioned THC values. Luxembourg is another European country that has legalised the medical use of cannabis. The Minister of Health within the country first declared the start of a two-year pilot program in November 2017 that allowed Luxembourgians to obtain cannabis extracts and medical cannabinoids for treating a variety of health conditions. This step in the right direction was pushed even further during June 2018 when lawmakers within the country approved a proposed bill to fully legalize the medical use of cannabis. This will allow medical users in Luxembourg much wider access to medical cannabis to treat far more medical conditions that can benefit from the herb. This means CBD users within the country will be able to administer the cannabinoid without fear of prosecution. Cultivation is also legal within Luxembourg, but only for strains that contain less than 0.3% THC. This means hemp and CBD products derived from it are tolerated. Canada recently legalized cannabis on a recreational basis, meaning that CBD is easy to obtain there and is entirely legal for recreational and medicinal users to enjoy. This legislation is still getting processed, and only medical cannabis is legal until October 2018. However, progress has definitely been made.